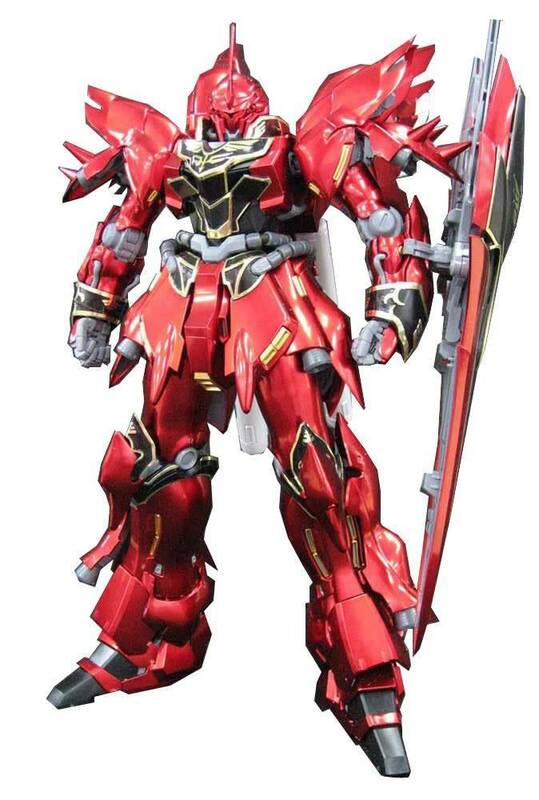 MSN-06S SINANJU Ver.Ka MG Titanium Finish plastic model kit by Bandai Hobby. - The Crimson Comet has been reborn as a Titanium Finish Master Grade! 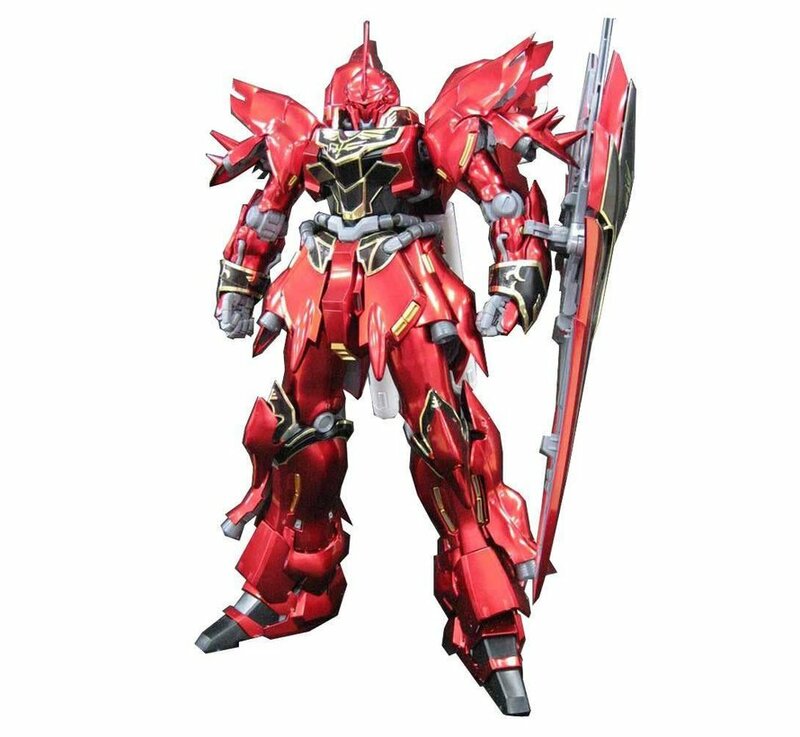 - All red and white elements have been recreated with special ‘titanium’ metal plating, lending this powerful Mobile Suit an elegant aesthetic. - Choose between water-transfer decals or foil seals to detail the elaborate golden detailing across the body of this powerful Suit. Pilot Figure (Sitting, Standing), Attachment for Action Base 2.